Cool! I don’t know how to weave but it looks like a nice loom. I’m sure you’ll wile away many happy hours on it. Chile, there is a very active spinner’s and weaver’s guild where you live — you should check into it! oooohhh, nice! 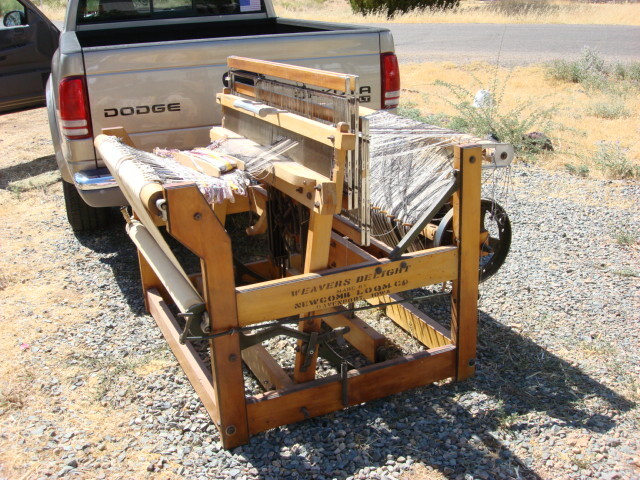 One of my “if I won the Megamillions lottery” plans is to have a loom up in the loft of my A-framed home (with alpaca!) Of course I don’t know how to weave, but hope springs eternal. Have fun with the new addition!!!! 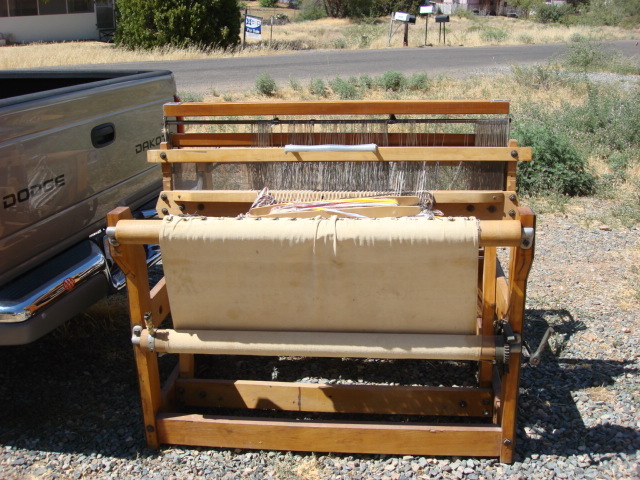 You know, the most intimidating part of weaving is the warping — which actually is just tedious and time consuming. I don’t mind, I guess I like the process as well as the product. I never in my life thought I would learn to weave but with a house full of fleece, I just can’t knit fast enough to reduce the stash! Admittedly, yarn takes less room than fleece, but…still. So that’s why I learned to weave. And the respect I’ve gained because I did for all those cloth makers through the centuries defies my ability to put into words.